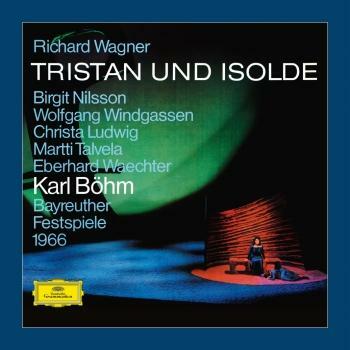 “Böhm's recording is a live Bayreuth performance of distinction, for on stage are the most admired Tristan and Isolde of their time, and in the pit the 72-year-old conductor directs a performance which is unflagging in its passion and energy. He has a striking way in the Prelude and Liebestod of making the swell of passion seem like the movement of a great sea, sometimes with gentle motion, sometimes with the breaking of the mightiest of waves. Nilsson characterises strongly, and her voice with its cleavingpower can also soften beautifully. Windgassen's heroic performance in Act 3 is in some ways the crown of his achievements on record, even though the voice has dried and aged a little. Christa Ludwig is the ideal Brangäne, Waechter a suitably forthright Kurwenal and Talvela an expressive, noble-voiced Marke. Orchestra and chorus are at their finest. Over several seasons of conducting the work at Bayreuth, Barenboim has thoroughly mastered the pacing and shaping of the score as a unified entity. Even more important, he has peered into the depths of both its construction and meaning, emerging with answers that satisfy on almost all counts, most tellingly so in the melancholic adumbration of Isolde's thoughts during her narration, in the sadly eloquent counterpoint ofbass clarinet, lower strings and cor anglais underpinning King Marke's lament, and in the searingly tense support to Tristan's second hallucination. These are but the most salient moments in a reading that thoughtfully and unerringly reveals the inner parts of this astounding score. The obverse of this caring manner is a certain want of spontaneity, and a tendency to become a shade self-regarding. You occasionally miss the overwhelming force of Furtwängler's metaphysical account or the immediacy and excitement of Böhm's famous live Bayreuth reading. But the very mention of those conductors suggests that Barenboim can live in their world and survive the comparisons with his own perfectly valid interpretation. Besides, he has the most gloriously spacious yet well-focused recording so far of this opera, and an orchestra not only familiar with his ways but ready to execute them in a disciplined and sensitive manner. The recording also takes account of spatial questions, in particular the placing of the horns offstage at the start of Act 2. 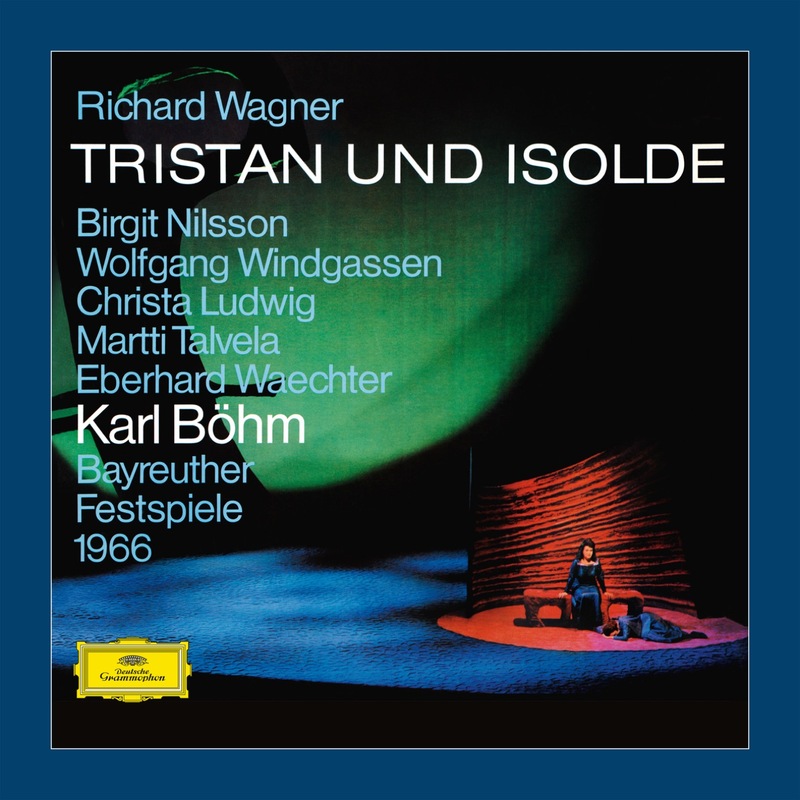 Salminen delivers a classic account of Marke's anguished reproaches to Tristan, his singing at once sonorous, dignified and reaching to the heart, a reading on a par with that of his fellow countryman Talvela for Böhm. Meier's Isolde is a vitally wrought, verbally alert reading, which catches much of the venom of Act 1, the visceral excitement of Act 2, the lambent utterance of the Liebestod. Nothing she does is unmusical; everything is keenly intelligent, yet possibly her tone is too narrow for the role. Lipovšek's Brangäne tends to slide and swim in an ungainly fashion, sounding at times definitely overparted.